I have been attending cooking classes at my local grocery store. At the last class I attended we learned how to make three different kinds of bread. 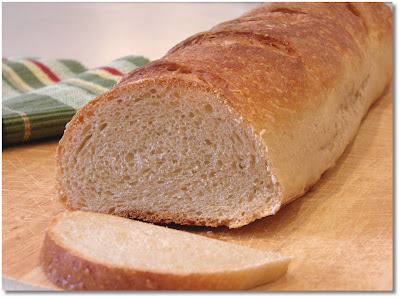 The first recipe I tried at home was this Refrigerator French Bread recipe. It was easier than I thought it would be. It was quick to mix up and although it needs to rise and be refrigerated, there is flexibility in the process. It can be refrigerated for as little as 4 hours or as long as 24 hours. Like most breads, this is especially good warm. In fact, my kids told me it was the best bread they have ever had! That's the kind of compliment I like! An easy and versatile French Bread recipe. 1. Heat water and butter to 120°F.2. In large bowl mix 3 cups flour, yeast, sugar, and salt.3. Add warm water mixture to dry ingredients and mix with dough hook for three minutes.4. Add remaining flour and mix at lowest speed for three more minutes.5. Spray bowl with cooking spray and place dough in bowl, turning once to grease top.6. Cover and let rise in a warm place for 30 minutes.7. Punch down and divide into two equal parts.8. On a lightly floured board, roll each into 15x8 inch rectangle.9. Roll each up tightly, jelly roll style, beginning with long side.10. Seal edges and ends.11. 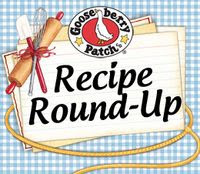 Place seam side down onto a lightly greased baking sheet or French bread pan.12. Slash top of loaves diagonally every two inches with a sharp knife.13. Spray with vegetable spray and cover with plastic wrap.,14. Refrigerate 4 - 24 hours.15. When ready to bake, remove from refrigerator, uncover, and let stand for 10 minutes.16. Brush with egg white mixture.17. Bake in 400°F oven 32 -35 minutes.18. Cool on wire rack. I love making my own bread, this recipe sound a bit like artisan no knead bread which going thru slow proofing stage in the fridge. The bread has baked beautifully , I will have to try this one , I love making my bread just for the aroma of it .